I recently bought a bicycle and am new to biking. So I decided to try it out on an inclined part of the road near my home. as I descended on the incline just after travelling a few metres I heard a clink sound from the chain system. Naturally I braked at once and decided to check but I could not find anything visibly wrong. However as I headed back home to further check for something I noticed that whenever I move my rear wheel opposite to its usual direction of motion the pedals started to move opposite to their natural direction of rotation. How can I fix this? There is nothing to fix, most of the hub works like that. It is normal behaviour implied by the hub internal design. If you really want your pedal not to rotate when moving bike backwards, you can move to single speed, coaster brake, traditional Velosteel hub. Personally strongly dissuade. This photo should explain why wheel is not conjugated with chain, while no force is applied on the pedal. 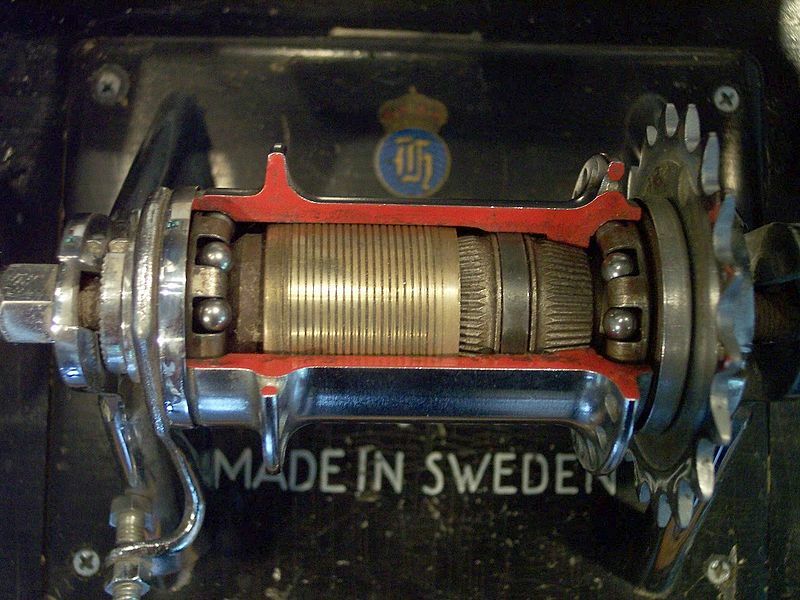 At the right side we can see rollers in its housing. It slides back and forth. This photo is even better. 2 clutches. 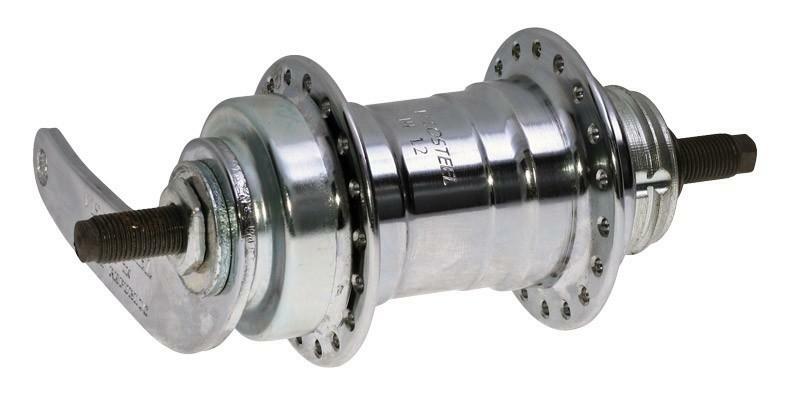 Moving forward pushes right against hub housing, conjugating sprocket with hub housing. Moving backwards pushes left against coaster brake pad. Pads does not rotate because of being engaged with brake arm attached to frame. 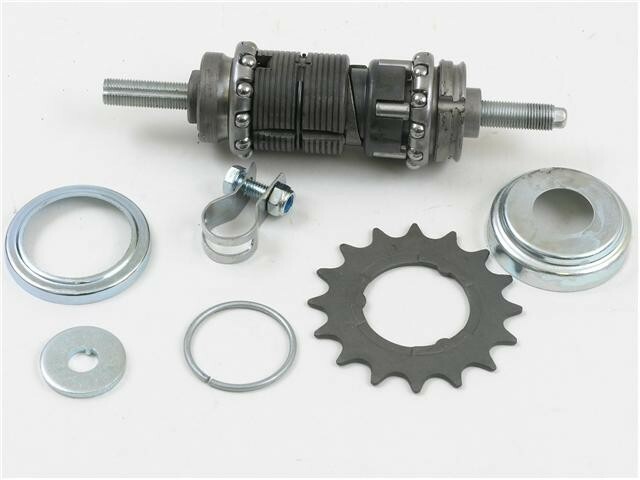 Because of friction hub housing start to conjugate with brake pad. No force applied - everything disengaged. Not the answer you're looking for? Browse other questions tagged gears pedals beginner or ask your own question. What is a simple mnemonic for remembering the thread direction when removing pedals? My rear cogs (not sure on the correct name) turn at force even when stationary. What is the proper placement of the feet on the pedals when viewed from the top?